Today is the day where the Lloyd Christmas quote, “so you’re telling me there’s a chance?” has never rung more true. NHL playoff hockey has arrived. And it’s time to dream. Big. Having woke up this morning with that kid in a candy store feeling it’s crazy to think the Bruins haven’t been a part of this wonderful ride for the past two seasons. The all-in, President’s Trophy primed, Bruins Cup run collapse against the Habs in 2014 was the last foul taste of postseason hockey the B’s had. There’s no Jarome Iginla anymore, no Looch, no Loui, no Dougie or even the beloved Johnny Rocket on the blue line. And there’s no after market parts like Soderberg, Smith, or a fruitless Andrej Meszaros trade deadline pickup. Doesn’t that seem like a lifetime ago? Missing out on playoff hockey in the NHL might as well be measured in dog years. One hockey-less winner-take-all April might as well be seven. In Boston it feels likes a hundred. We breathe this kind of hockey. 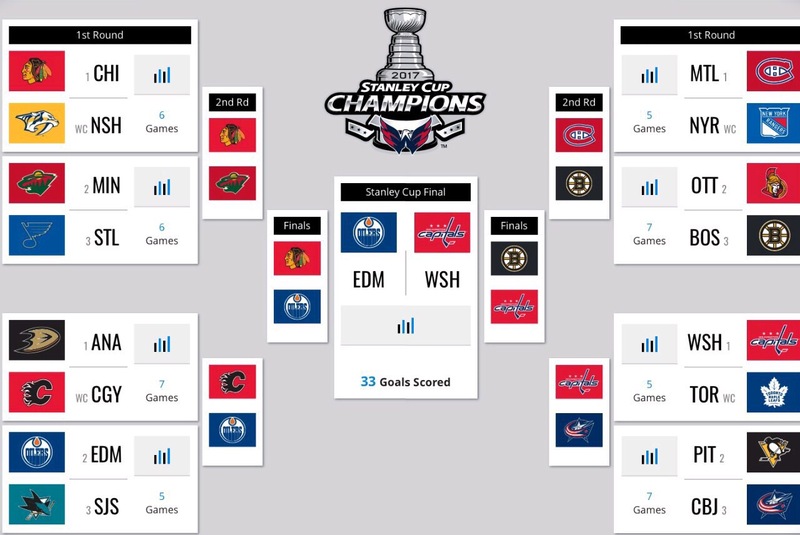 And when you get in you always believe you have a chance because in reality no matter how bleak a hockey expert may paint a matchup you do always have a chance. Just ask the 2011 Vancouver Canucks about that. So as the puck drops at 7:05 tonight in Ottawa just enjoy it. Drink it up. This is why we watch those Tuesday night clunkers in November against the Sabres. Because we hope it leads to tonight. It’s all worth it. As far as predictions go, I’m honestly not that big on them. Thanks to the Cam Ward’s, Jean-Sebastien Giguere’s, and Timmy Thomas’s, people rarely get them right. Even a forgettable Matt Fraser can nearly change a series forever. In my case my heart always leans Bruins but my head not so much. And usually I’d rather not think at all. But since I’m blogging it I’ll play along this year. Unfortunately for the Bruins the Sens should win this series in six. They’ve pretty much held true to their ways all season and have owned the B’s. However, I’m putting my money on my heart. This series reminds me of the 2011-2012 first round matchup where the Dale Hunter led Washington Capitals trapped and bored the Bruins to death. The Caps eventually landed a Game 7 knockout with a Joel Ward overtime uppercut. But this time I think the Bruins stay awake long enough to win a trap heavy series in 7. And if Craig Anderson is even remotely leaky, maybe it ends sooner. Just don’t underestimate the loss of Torey Krug right now. Haters are always going to hate but that dude led that 2014 President’s Trophy Bruins I mentioned earlier in playoff scoring that year. And we saw what he did when he arrived on the scene against the Rangers in 2013. The guy shows up this time of year. He leaves a hole Charlie McAvoy may not be able to patch. But again, you always have a chance. Beyond the Bruins series I think there’s room for some fun because outside of Montreal whoever else wins their series is irrelevant to me. I just want to see some thrillers. So I’m going to have fun with my “predictions” since it doesn’t really matter. Here they are: The obvious fun pick is Edmonton reaching the Final. They’ve got the softer side of the West bracket, much like the Ducks did two years ago before meeting the Blackhawks in the Western Conference Final. The Oil can pounce now. And I’m not willing to trust the Ducks. In the East I have the Blue Jackets shocking the Penguins in the first round. My reasoning is like the chick who picks her March Madness bracket based off of the mascots and team colors. I just want it to happen. As for Boston, they can survive Ottawa because I need Habs/B’s, Claude/Cassidy, Price/Rask like I need oxygen. And I can never pick Montreal to win anything substantial. In the end the Capitals beat the Oilers in 5. Nicklas Backstrom gets the Conn Smythe so the world can finally give him his due as one of the elite NHL stars today. Connor McDavid will lead the playoffs in points. Peter Chiarelli gets to feel agony again. It all gets started tonight. I’m ready. Are you?